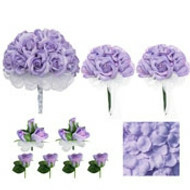 If purple is one of your wedding colors, you've found a treasure trove of options here. Purple bouquets offer a cool yet rich tone that can be paired with a variety of other colors for schemes that are both bright and dark. Purple is a popular color for all seasons, including winter. 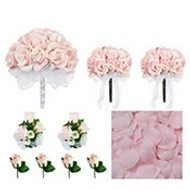 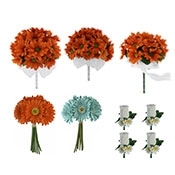 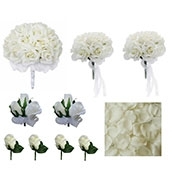 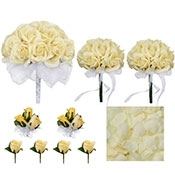 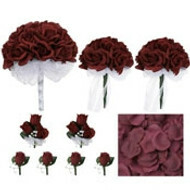 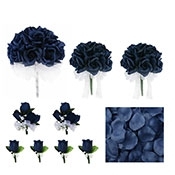 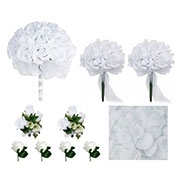 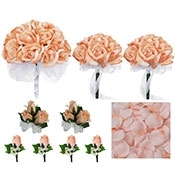 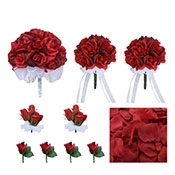 Browse our selection of silk wedding bouquets, purple corsages, boutonnieres, and more today and get inspired for your wedding’s color theme. 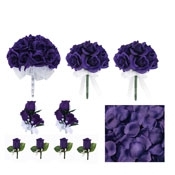 You'll also find purple bridesmaids bouquets here. 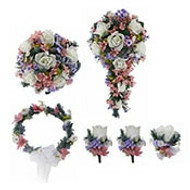 These purple wedding bouquets are ready to be shipped out to you today.